Overall, this year won't have that extra punch of love and fun that was available to you last Valentine's Day. It's more serious now with some Scorpios faring better than your fellow Scorpios. Scorpios who are most likely to benefit from the romantic vibe in the air (which you will personally feel) are those born November 2-8. You have a beautiful blend of stability with ideal love today. It's an auspicious few days before and after for you select Scorpios to think long-term. Many of you will step up your relationship for a deeper commitment. Maybe you'll even get engaged. The odds of committing to the right person now are excellent for long-term compatbility. (Venus and Saturn in Capricorn sextiling your sun AND Neptune trining it!) Wow - 5 Stars for you guys! For all of you, check to see if you have natal Venus at 18-21 Sagittarius. If you do, Valentine's Day will be extra wonderful! (Jupiter conjunction which comes around only once every 12 years). 5 Stars if you have that! 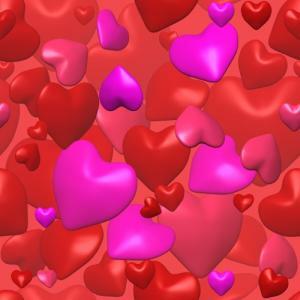 This Valentine's Day presents an opportunity for Scorpios to communicate your wishes and discuss those deeper issues to create the changes you want.